San Luis Obispo - David M. Geftakys, David E. Geftakys, Gordon W.
Dan visited other churches for ten years following the break-up of the Geftakys ministry in 2003. He told Steve Irons several years ago that he was dissatisfied with all of them, and was looking for a way he could make a unique contribution. He is now affiliated with "Standing Stone: Shepherding the Shepherds". He contributes to "God's Leader: Loving His Family by Equipping, Discipling, Fathering, Sharing". Note especially Dan's article on "7 Principles of Authentic Community", and the comment section that follows. He collaborated with Keith Giles to produce a series of podcasts, primarily on the topic of house churches. In Podcast #16, "Hard Conversations", Dan demonstrates that his methods of exhortation have not changed noticeably over the years. Dan blogs at Dan Notti: Teacher, speaker, entrepreneur and follower of Christ; with a passion to be a catalyst for authentic community. He is employed by Sales Fish. Former Assembly members discuss Dan's post-Assembly career on the FaceBook group, "The Geftakys Assembly", beginning at February 3, 2016. Jeff initially renounced the George Geftakys and the Assembly ministry, then recanted in 2004 with a public letter on the Assemblyboard. Since then he and Nancy have been hosting a Sunday meeting in their home and reviving the Assembly pattern in San Luis Obispo. They recruit students from Cal Poly and from the high school where Jeff teach auto shop. You can read and join the discussion about Jeff on 'The Geftakys Assembly' Facebook page, beginning on January 27, 2016. 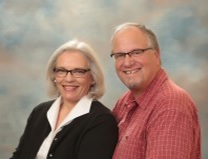 Tim and Ginger are very active at Kindred Community Church in Anaheim Hills, CA. Tim teaches one of the two adult Sunday classes, and one of the two men's weekly Bible studies. Tim and Ginger host a Kindred Shepherd Group in Orange. Ginger is the secretary for non-profit Pilgrims Provisions Ministries, organized by Tim and Ginger, Mark Miller, and Mike Struven in 2008 to benefit Livingstone Academy in Nigeria. LinkedIn lists Tim as an "Independent Sports Professional". Ginger is a lecturer at CSUF in the Elementary and Bilingual Education Department. Ginger sells her artwork and photography here, and can be reached at gingergift at aol dot com. Tim and Ginger's daughter Elizabeth Esther has written a memoir of growing up in the Geftakys family and the Assembly. Tim and Ginger have never issued a public apology to people who were badly hurt under their leadership. They have made no public statement about where they stand in regard to the errors in teaching and practice in the Geftakys ministry. You can read and comment on the discussion about Tim on the FaceBook page, "The Geftakys Assembly" page, beginning on October 4, 2016. You can also email the editor of this site if this concerns you. November 19, 2017 Trish Kanne Luckett, from the Fullerton Assembly during the 1970's, went on to become a ballet dancer. She has sent links to two worship videos she took part in - Psalm 144 and this. 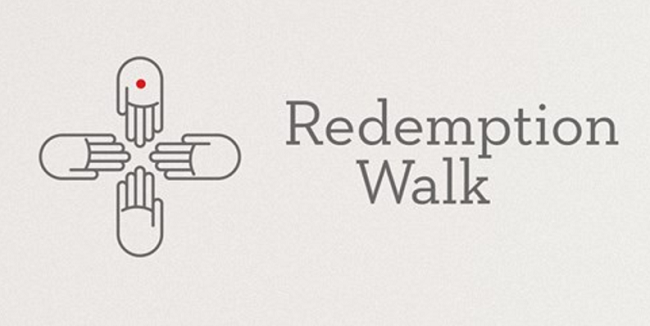 May 4, 2017 Daniel Teater, who grew up in the St. Louis Geftakys Assembly, was interviewed on a "Redemption Walk" podcast. He talks about how he came to see God differently and is now engaged in conciliation ministry. March 2, 2016 Bruce Barrett, from the Fullerton Assembly, went home to be with the Lord. His sister Becky posted this obituary on his Facebook page. Bruce and Laura were part of the Fullerton Assembly. For many years Bruce worked editing the tape transcriptions of George's seminars for publication. View comments about Bruce on 'The Geftakys Assembly' Facebook page. 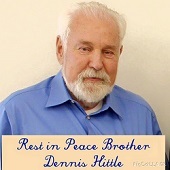 August 12, 2015 Dennis Hittle, from the Fullerton Assembly, went to be with the Lord. He was seventy four. Funeral arrangements were private. Dennis was a Vietnam veteran of the Air Force, and was buried with full military honors at the Riverside National Cemetary. His family published an obituary in the Early October edition of "The Fullerton Observer". Former Assembly members remember Dennis on the Facebook "Geftakys Assembly" page. Many of us have fond memories of Dennis. He was a gracious brother. View comments about Dennis on 'The Geftakys Assembly' Facebook page. October 28, 2014 Al Hartman went home to be with the Lord. Al died peacefully in his sleep at home In reynoldsburg, OH, where he and Cathy have lived for many years. Al and Cathy were among the original members of the Geftakys Assembly. They were part of the group meeting in Tom Maddux's home in the San Fernando Valley when George came along, and made the long commute to worship with the Fullerton Assembly before the SFV meeting was established. Al contributed his testimony, from the time of his salvation, through his years in the Assembly, through years of discouragement after leaving the Assembly, and up to July, 2003 and his involvement on the Assembly bulletin board. He also wrote several articles: "Learning What We Already Know: Thoughts on Psalm 23", "What's Happened to Us? ", "Assemblyspeak", and the short story, "Assembly Love". April 10, 2011 David Michael Geftakys, son of Judy and David, is a singer/song writer, based in Los Angeles. Check out his music and website. Connie Wellik writes about her years of church ministry. December 6, 2010 Stephen M., son of Jim and Brinda, from the Tuscola Assembly, went to be with the Lord following surgery for another brain tumor. He lived for thirty-five more years after his first inoperable brain tumor was diagnosed at the age of three in 1975. Here is a note from Brinda. 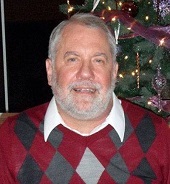 Stephen's obituary was published in the Champaign, IL, newspaper. January 4, 2010 Amy Russ Cahill, from the Huntington Beach Assembly 1989-1991, has written, performed and produced several pieces of music. April 16th, 2009 Stephen Beniesau, a former Assembly member from Arcata, CA was walking in the evening and was struck and killed by a vehicle. He was with his wife Amy at the time (they have no children), who witnessed the incident. Please pray for the Beniesau family and everyone else who was affected by this tragedy. The memorial service was Saturday, May 2nd at Trinity Baptist Church in Arcata, CA. March 2, 2009 Nancy Ann Teater, formerly of the Saint Louis Assembly, went to be with the Lord on February 27 following a long battle with chronic pain. May 5, 2008, The Redlands Daily Facts newspaper had an article on Saturday about a multi-cultural festival at Plymouth Village, where George and Betty Geftakys live. George is still up to his old ways of misrepresenting the facts. He claimed he was a native of Greece and apparently recited the Lord's prayer in Greek! There is an anonymous comment about this on the "George and Betty Geftakys" page. January 21, 2008 Dave Mauldin posted this update: "I have just finished to the final interview of my Oral History Project on the Assembly. I feel extremely privileged to have obtained the current-member-leader interview. As this material will be held in archives at Cal State Fullerton and be made available for research and possibly publication, I feel as if I have completed the most significant work of my life! While working on the interviews, both interviewer (myself) and narrator were amazed at the insights revealed in our discussions. Also the spontaneous laughter was priceless. I know now that research of this kind will be a big part of the rest of my life. A wish I have would be for current members and former members to be able to find some common ground to communicate on as I have on this project!" May 2007 Ruth de Visser, daughter of Nelie and Simon de Visser of Middleburg, NL, went to be with the Lord after a long illness. Here is a picture and her testimony (in English). After retiring from teaching Tom Maddux got his M.A. in Christian Apologetics from the school of Professional Studies at Biola University. For a time he was an on-line instructor for the Reasons Institute, an arm of Dr. Hugh Ross's Reasons to Believe. Flora, formerly of the Ottawa Assembly, has suffered from chemical sensitivity since at least age 13. She became completely disabled in 1987. 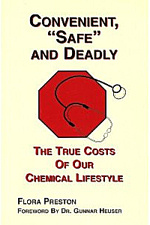 She has written a book, Convenient, Safe and Deadly detailing the health impacts of our chemical lifestlye, which was published in 2006. Read her article, The Value of a Human Life, and visit her website, Health Risk Navigation, Inc.
David S. Kennedy passed away October 13, 2007. He is survived by his wife, Christine, and four children. The Kennedys were in fellowship in the West LA Assembly prior to 2003. Tamilla P. is married to Asela; they reside in Hong Kong. She has published a book about her experiences, This Mysterious Love: Hard Lessons Learned by a Black Girl in China. Tamilla also contributed the excerpt from Henri Nouwen's book Out of Solitude, in which he makes the point that being is more important than having or doing. Information on Dr. Sunday Ochenjele's medical endeavors in Nigeria is profiled, and he explains his position vis a vis the Assembly. Wayne Mathews, Champaign, IL, talks about his current medical missions project. November 9, 2004, Marine Lance Corporal Abraham Simpson, nineteen-year-old son of Jim and Maria Simpson, formerly of the Fullerton Assembly, was killed in action in Fallujah, Iraq. Abe had a strong Christian testimony, and wanted to serve his country in a good cause. In October, 2005, Maria Simpson found an essay Abe had written in his senior year of high school, which shows a turning point in his life. Dan Buss, formerly of the St. Louis Assembly, was taken to glory in 2007. He left some last words for the saints. Kathy C., who was involved in the Fullerton Assembly from its beginnings until the 1980's, tells about finally finishing college in 2006. Gretchen W. of Omaha wrote in 2004 about the steps their family has taken toward healing in the past year and presents a penetrating analysis of the former Omaha Assembly. Joe D. writes about getting involved in Pro-Life Ministries. "The goal of this article", he says, "is not to bash George Geftakys but to take a fresh look at a critical issue that may have been largely ignored by us in the past." Joe Miller tells about his time in the Assembly, why he left in 1991, and where he is now. Copyright 2003-2016+ Margaret M. Irons. Updated May 29, 2016.